Today the area that was known as Seven Springs, Florida is the Seven Springs Golf and Country Club in New Port Richey, Florida. A few housing and condominium developments, an elementary school and a major road still bear the Seven Springs name as well. If you're looking for a Seven Springs pool builder to turn your property into the perfect Seven Springs outdoor living space for your family, we encourage you to consider Grand Vista Pools. 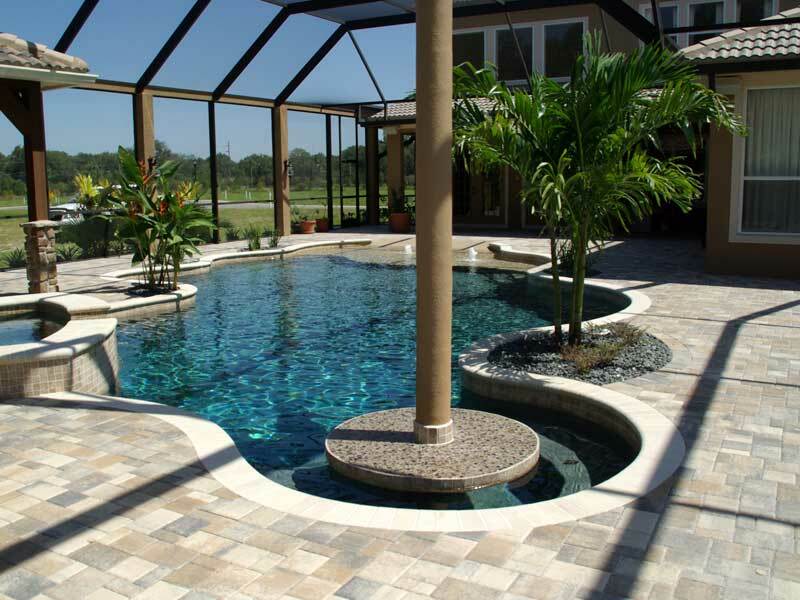 We've been building new swimming pools in Seven Springs, Florida and the surrounding area for many years. Do you have an older swimming pool that needs remodeling? Want to add a spa? Would you like to add lighting, water or fire features? We can handle whatever Seven Springs pool remodeling you may need from pool resurfacing to an complete makeover. Grand Vista Pools also specializes in designing and building Seven Springs outdoor kitchens. If you can dream it, we can build it - from a gas or charcoal outdoor grill to a full-featured kitchen to a beautiful outdoor bar. To discuss your Seven Springs swimming pool, call us at (888) 530-POOL or contact us online!